Thus one has following nine teachers: three scientific ones, three spiritual ones and three traditional ones. 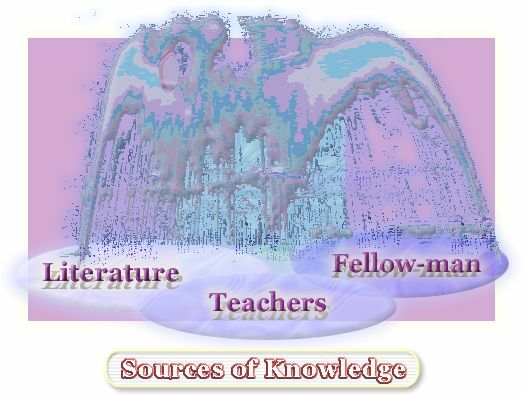 3) the 'Holy Spirit', the 'unseen', or concrete of the positive homological mind (the thought we may piously share and contain), or the sober sense of the knowledge handed down of the natural science which, as a person, stands for the 'Creator'. 6) the 'Son', the personality of Godhead the way we know Him from the scriptures as the leader of this or that religion who takes away the obstacles, or is the 'Destroyer'. 9) the 'Father' or the 'Maintainer' in the beyond, the Original Personality of God. Even though the filognostics are usually found among the devotees of the traditions, or under the believers, constitutes the filognostic the respect for and of the integration of all these nine teachers. The impersonation of all these teachers is called the Fortunate One, the Lord or the avatar, who is as well the intuitive as the manifest teacher, as also the pupil or devotee. The 'normal' filognostic is always part of Him, of Him as the Lord of, or the Integration of, the Filognostics. Caitya - the guru from within. Guru - discussion of the three teachers according the Lexicon of the Bhâgavatam. An article on gurus at the Personal department.